BlackBerry Curve series is an awesome phone from RIM but it doesn’t support YouTube videos. 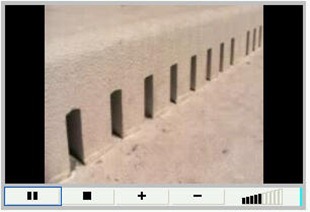 Even if you are on Wi-Fi, you will not be able to watch YouTube videos on your BlackBerry. 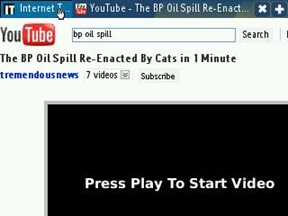 One of my friend is having BlackBerry Curve 8520 and was trying to watch YouTube videos since a long time but no success. There are few apps in BlackBerry app world which claims that you can watch YouTube videos on your phone by using them but they didn’t work too. But finally I used Bolt browser on BlackBerry and now I am able to watch YouTube videos on Wi-Fi as well as on phone network. Go ahead and install Bolt browser on your BlackBerry. 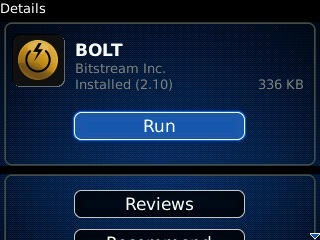 Bolt is available for free on BlackBerry App world.